I was lucky enough to be able to choose some festival packs to review and tell you all about so I chose their festival packs one and two. Let's talk about pack one first which cost's £7.99. 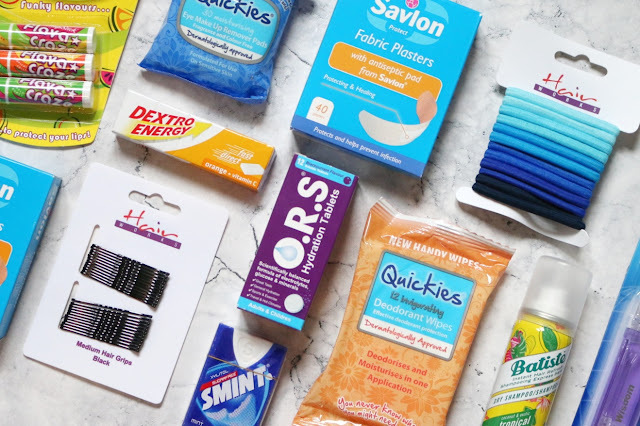 To be honest, for £7.99 this pack is amazing, you get so many goodies that you will most definitely need at the festival and it's much easier buying them all together rather than secretly. Next up is pack two which has some more must have's in it. Like pack one you get plasters and Energy tablets which are pretty much essential to any pack you would want. I love that in this pack you get a travel toothbrush with a pack away handle and ventilated case for hygiene, it's the perfect size to take away with you. Speaking of your mouth, you get mints in this pack to keep your breath minty fresh which we all need. I love that you get eye make up remover pads in this one because I know that after a full day of partying away, rocking out to music and having an all round fab time you really cannot be bothered and you just wanna climb into your sleeping bag/ bed, what ever and sleep so these pads make it super easy to take off your eye make-up, PERFECT. In this one you also get some Rehydration soluble tablets which is VERY important when you're at a festival as it can be so easy to forget and these tablets are just perfect. At any festival you need hair ties and grips, I mean if you have long enough hair to use them you really are going to NEED them, I know I do, so these are one of the core parts of this pack for me, I always need some bobbles and hair grips, it's a must. These Festival packs really are fantastic and I think that for the price you can't go wrong, especially if you are buying more necessities from Chemist.co.uk because they really have so many everyday products on their site at great prices! I managed to pick up some goodies from their website and although I did get a gift voucher to spend from them I ended up putting my own money in as well because there were loads of wee knickknacks that I just had to HAVE! 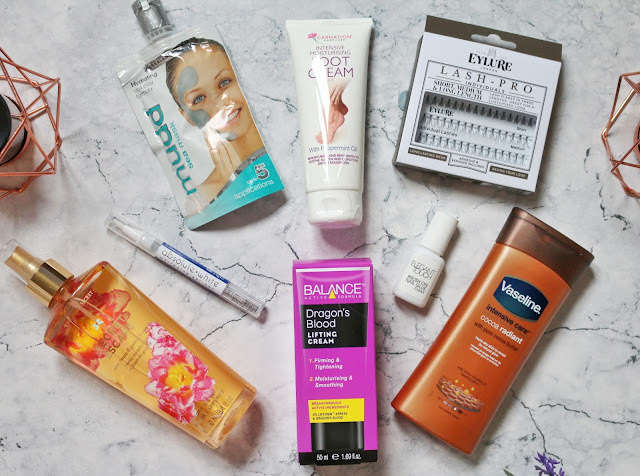 I was really surprised at the amount of products they do actually carry like Victoria secrets mists, Garnier products, Batiste dry shampoo and more! I was really pleased with the over all experience I had when it came to ordering what I wanted, the prices were good and delivery was quick plus when I received the stuff all the bottles had sellotape around the top to avoid any spillage which I liked. So if you're looking for festival packs, things for holiday of everyday items then head on over to Chemist.co.uk to have a wee nosy and see what you can pick up. These festival packs look amazing! So perfect aswell for a little weekend away or holiday, there is always stuff I forget so definitely going to consider these in future! Plasters are a must have for a festival and I also love the look of the chapstick! The second pack is definitely something i'd purchase, it'd make a perfect addition to any overnight bag! Never been to a festival before but we can only imagine how much stuff you'll need and you've got a great set there! Do love a good dry shampoo! 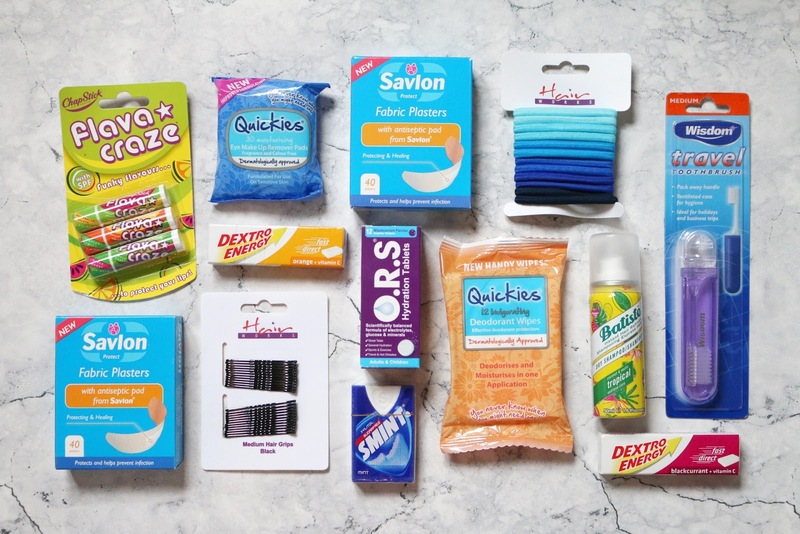 These packs both look amazing and I definetely think the deodorant wipes sound amazing and like a great little thing! 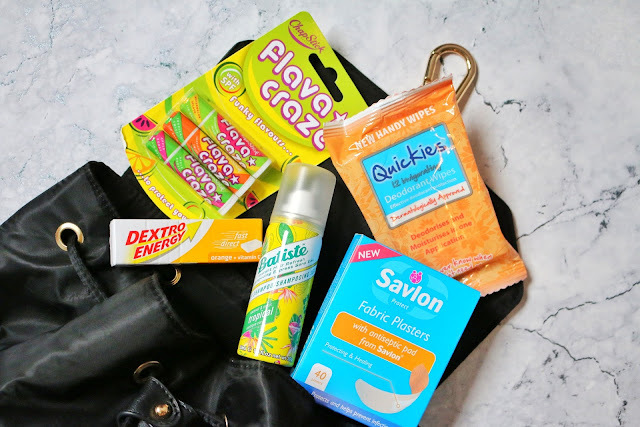 Love those little festival packs, they would be perfect for a weekend away! Batiste is my life saviour!! What a wonderful idea these festival packs are! I also always forget to bring bandaids and wind up buying them on vacation. It costs about as much as one of these entire packs does! These are definitely a smart buy. Wow these look so good. When I was going to my first festival a week after my 18th my sister gave me a festival survival pack she had put together. It contained all the useful things such as plasters and patacetamal but also vodka and sweets. These packs are perfect! Reminds me of something I would pick up for Silverstone, they are in the perfect market. We always forget at least something and having a company do it for you is perfect! I'm definitely going to check them out. This is such a cool idea, means you won't forget those festival essentials! These festival packs are such a great idea I don't know if we have them in the netherlands! Makeup wipes and dry shampoo is definitely a must ! This looks like such a good little pack! definitely going to check this out when I go to my next festival, so thank you for sharing! What a great idea, I'm sure that these are incredibly useful for festivals! I mean, who can live without dry shampoo?? 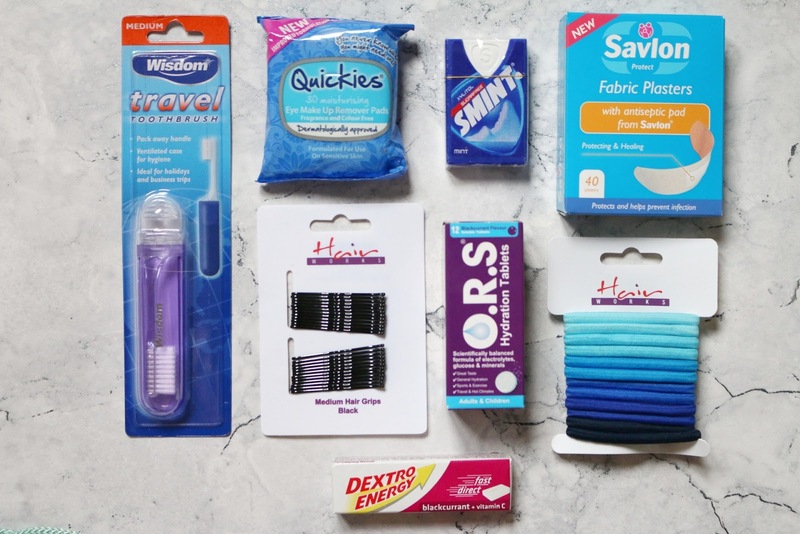 They'd be great for just regular camping too - I'm going "glamping" in the Lake District this summer and I'm sure that these products would still come in super handy! These packs are wonderful, if I ever was to go to a festival I would definitely be looking at these packs, the prices are reasonable and I feel like I would be saving money buying them in a pack like this, I want to buy one now even if I'm not going to a festival! These sound great! Just wish I'd had them for Leeds! This is a brilliant idea from Chemist.co.uk! I think first-time festival-goers would really benefit from picking up a festival pack especially. I had no idea what to take the first time I ever went to one!